The Presidential election in Nigeria is fast approaching and for everyone that wants to discuss the election on Twitter, the platform is introducing a special emoji. 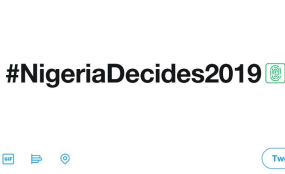 The emoji appears when using the hashtags #NigeriaDecides2019 and #NigeriaDecides. The special emoji pictures a fingerprint in a square, reflecting the Nigerian fingerprint voting system, and it's colour represents the green of the Nigerian national flag. This design encourages conversation while also serving as a piece of voter education.